I can't believe I've abstained from eating one of my favourite food since I know I am pregnant. 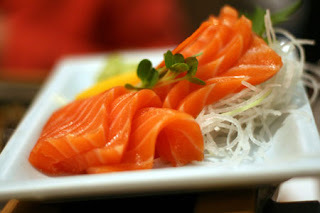 Those fat, delicious, juicy looking salmon always makes me drool everytime I dine in any Japanese Restaurant. I think I will eat a whole kg of raw salmon the moment I'm allowed to eat them! I'm actually not a real fan of Tiramisu. 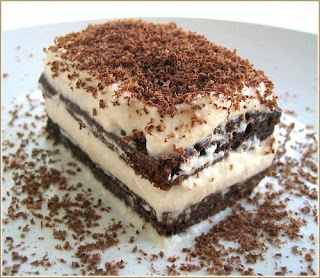 But ever since I got pregnant, I always hear people saying 'Bella Italia serves the best Tiramisu in Penang'! 'Tiramisu is famous at Annabelle's Place'! Arrghh...I just so wanna try them! I am not supposed to eat all the above-mentioned food because raw or uncooked food has the risk of contamination with coliform bacteria, toxoplasmosis, and salmonella. 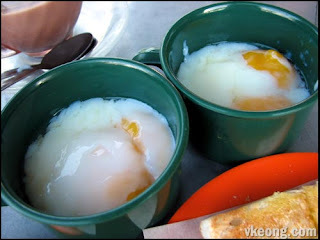 After the little one has arrived, we shall go to Old Town for breakfast to have half boiled eggs with toast, then to Sakae Sushi for lunch, then we can have tiramisu for tea. The View? Ive been there once. But forgotten how the Tiramisu tasted like. Maybe I stuffed myself too full then. oh yes... Bella Italia sure serves really good Tiramisu -- although, the standard has deteriorate a little. cj...no need buy baju la. sure in the end got lotsa ppl buy baju for him wan. seafood kenot eat meh? i eat them all the time!